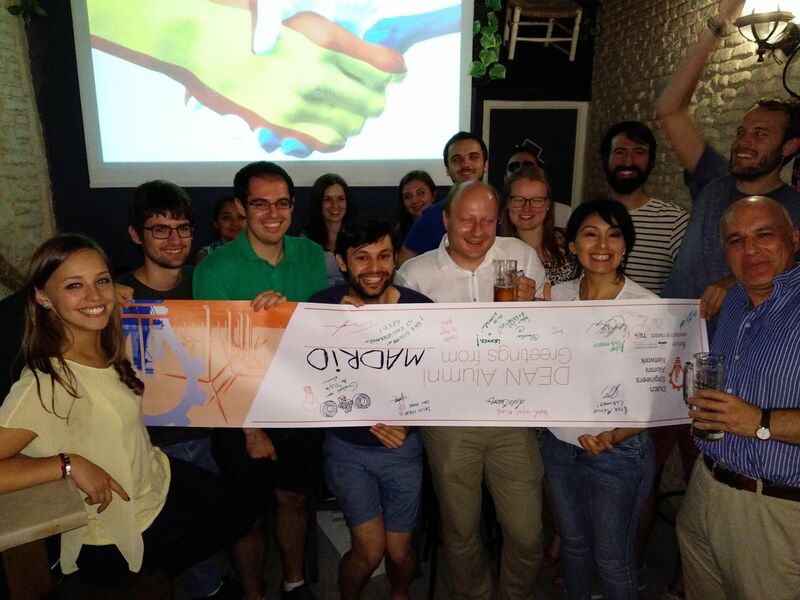 Over the summer, seven different alumni communities all over the world organised an informal get together with our 'Event-in-a-Box' concept. 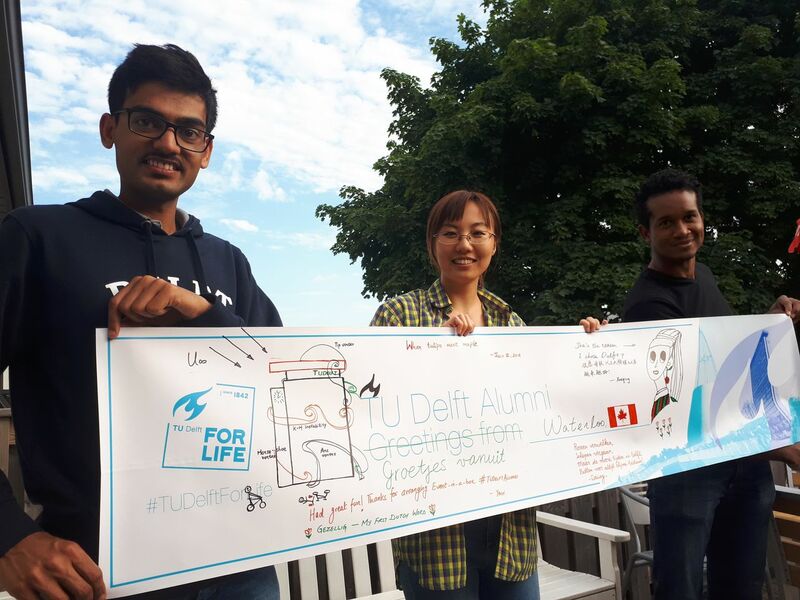 TU Delft alumni met each other in Bangalore, Istanbul, Quito, Madrid, Waterloo, Mexico City and Melbourne! The time has come to announce the winner of the Event-in-a-Box-Deluxe edition. 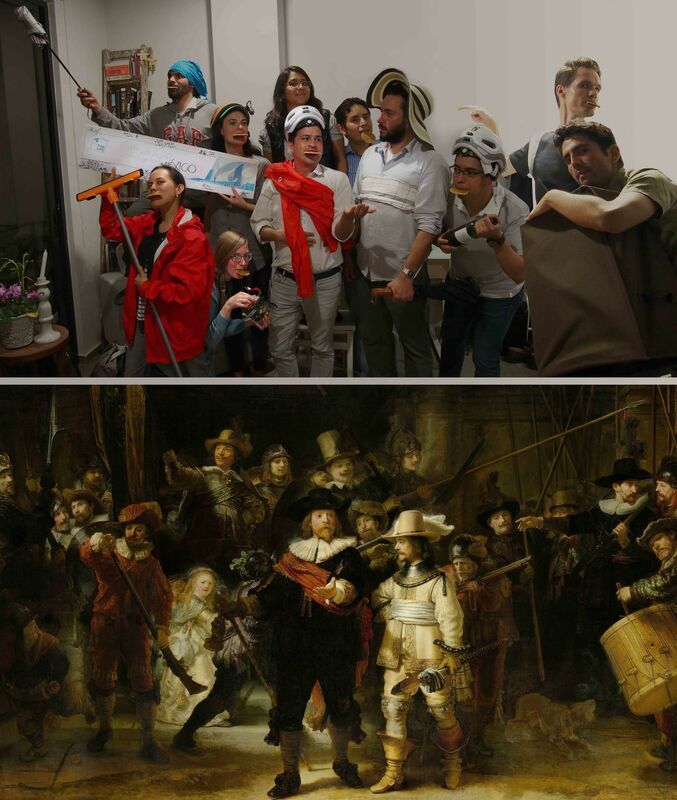 We received many fun and creative photos: it is great to see that the Delft experience brings people together, wherever they may end up after graduation! Congratulations! Your photo had it all! Amazing creativity and it showed an enthusiastic and fun alumni community. We hope you will enjoy the Event-in-a-Box deluxe edition! We were amazed by the beautiful replication of the Nachtwacht, using stroopwafels from Delft (and any other accessory you could find). Bravo! An alumni gathering with alumni from the 4 technical universities in the Netherlands. The upside-down banner was a special touch (although we are not entirely sure if it was intentional or not...). Small group, but again: great creativity! We loved the fact that you added both a TU Delft icon (the EWI building) as a Delft icon (the Girl with a Pearl Earring) to your banner. We would like to thank all our alumni volunteers who made these events possible! Without your time and effort, we wouldn't be able to build alumni communities all over the world. So please stay connected and let us know if you have any ideas on how we can further build and strengthen these communities. Not a volunteer yet, but would you like to be more active? Contact us at: alumnirelations@tudelft.nl. Next up: Event-in-a-Box Sinterklaas edition! We hope many of you will join in celebrating this typically Dutch tradition. Do you want to host a Sint-event in your city? You can register here.